I was looking for the fox when I heard a hollow drum beat behind me. 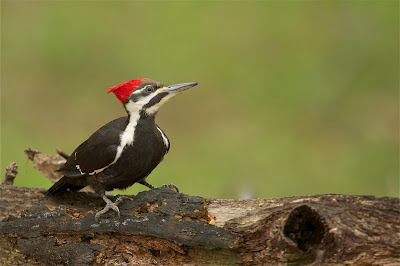 I turned around and there was my friend the pileated woodpecker just a few feet away looking for breakfast on a log. Always such a thrill to see this beautiful bird.